Here are fun things to do in Myrtle Beach that will please everyone. When you are interested in spending the day where there are multiple attractions then try Broadway at the Beach or walk along the Myrtle Beach Boardwalk and Promenade. If you like thrill rides then Family Kingdom Amusement Park is ideal. The Ripley’s Believe It or Not! is splendid for curiosity seekers and at the Ripley Aquarium you can view dozens of sharks. Other exciting options include the Broadway Grand Prix, escape games as well as a bird’s eye view with Helicopter Adventures and you can find muscle cars at the Wheels of Yesteryear. Children will be pleased with the Myrtle Beach Safari, Children’s Museum of South Carolina and Blackbeard’s Pirate Cruise. 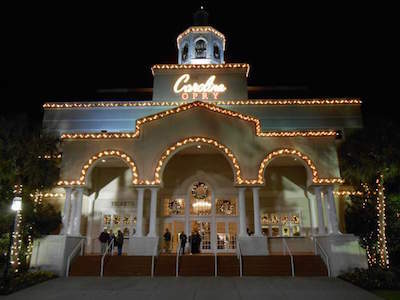 Nighttime brings live music to the Bowery and the award winning Carolina Opry is perfect for families. When you are looking for an entertaining time for the family and want to watch a great performance with music then the best thing to do in Myrtle Beach is to go to a show and concert. You will be happy when you see the selection of shows and concerts that are offered on a nightly basis. When you want to do the Hustle try the 70’s Night Fever Show or the Motor City Musical-A Tribute to Motown which features soul music. If you like music from the 60’s, 70’s and 80’s then Time Warp at Carolina Opry is perfect. You can witness fire dancers at the Polynesian Fire Luau or watch medieval knights fight at the Medieval Times Dinner and Tournament. The Carolina Opry is ideal if you are looking for variety show and the Concert of Legends will have you thinking you saw the real celebrity. When you are searching for great family-friendly entertainment during the evening then the best thing to do in Myrtle Beach is to go watch the Carolina Opry. Located 8901 North kings Highway, the Carolina Opry performs within the Calvin Gilmore Theater. The Carolina Opry performs a variety of shows throughout the year which are produced and choreographed by Calvin Gilmore. Families will be pleased with performances that include a wide variety of talented artists several different shows weekly which makes this a must stop for more than one night. Rotating performances have included Carolina Opry which is a country themed show; Time Warp focuses on rock and roll from the 1960s, ‘70s and ‘80s; the Thunder and Light performance features a wonderful dance troupe on the stage; LIGHT Laser Extravaganza is packed with multimedia effects along with music from Led Zepplin as well as Pink Floyd and there is a Magic featuring the Wagsters for children on selected days. No matter what type of family entertainment you are seeking you will be able to watch a brilliant performance that only Calvin Gilmore can bring to the stage. When your family is interested in viewing amazing marine life in a comfortable fun atmosphere then one of the more popular things to do in Myrtle Beach is to plan a trip to the Ripley’s Aquarium. 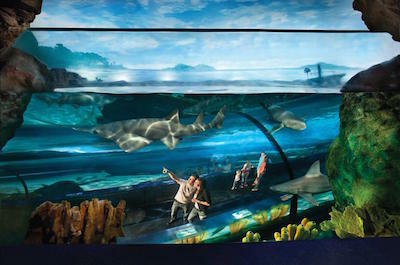 Located at 1110 Celebrity Circle adjacent to Broadway at the Beach, Ripley’s Aquarium is situated within an 87,000 square feet facility with two levels that feature nine different galleries of marine life. Your admission allows you to take as much time as you wish to wander through this fascinating place. Galleries features coral reefs in Rainbow Rock; the Discovery Center features an interactive multimedia playground; the Living Gallery has giant Pacific Ocean octopus; Ray Bay is filled with dozens of stingrays; System Control allows you to learn behind the scenes; Rio Amazon has poison dart frogs and the most impressive of all is Danger Reef where you will ride on a 340-feet sliding walkway while viewing the largest collection of sharks on the East Coast. You can even add-on to your general admission ticket and take a glass bottom ride, swim with stingrays and even dive with sharks. When you want to explore numerous interactive exhibits that involve different facets of science then the perfect thing to do in Myrtle Beach is to step inside WonderWorks Myrtle Beach. Your science adventure begins when you arrive at Broadway at the Beach and enter the incredible building that houses WonderWorks. Once inside you will have plenty of time to explore the 100 interactive science based exhibits within five Wonder Zones that include the Light and Sound, the Imagination Lab and Far Out Gallery, Physical Challenge and Natural Disasters. Exhibits you can explore within these zones include an anti-gravity chamber, Xtreme 360 bikes and the hurricane shack which simulates being in an actual hurricane as well as spacewalk challenge which is an unbelievable obstacle course of swinging beams and suspension bridges. Other items included in your admission include an adrenaline filled zipline ride on Glow-in-the-Dark Ropes and you will feel the thunder of a simulated roller coaster ride while watching a 3D movie within the 6-D XD Motion Theater. The WonderWorks is an ideal place for the whole family to spend most of the day having a great time exploring science and having fun. 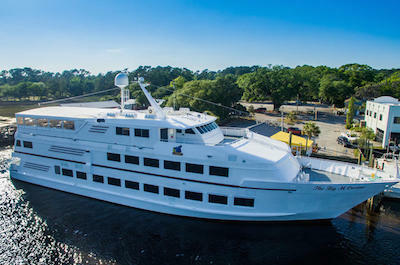 When you are ready to hit the high seas the best thing to do in Myrtle Beach is to take a cruise. These cruises offer an abundance of fun and you will enjoy the relaxing time spent on the water. Cruises include a great trip to Charleston, South Carolina where you will spend time exploring this historic southern city that has a deep history. Other cruises will take you on a luxury yacht that boasts games like roulette, poker, bingo, slot machines, craps and blackjack. 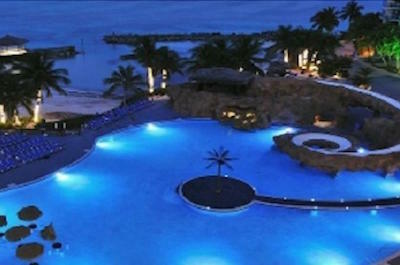 You will be delighted with party style atmosphere you will find on these cruises. An added bonus to taking a cruise is the marine life that will view from sea turtles to dolphins to hundreds of fish and you have an opportunity to take advantage of a different perspective of the built as well as natural environments along the shoreline. When you are ready for some challenging fun for the whole family then one of the best things to do in Myrtle Beach is to go on an escape room tour. These excursions are excellent for all ages and will surely make you think about planning your escape. You will be given 60-minutes to solve the multiple riddles that are given to you in order to find your way out trouble. Each escape game has a different theme that ranges from being stranded on an island somewhere to a fighting off an angry mob of zombies to finding your way out of a haunted hotel. The rooms are fantastic with props that lead you from one clue to the next that allows you to find your escape route. You will have a blast building trust with other family members as you put together the many different clues that will help you get out of trouble. When you want to feel like viewing real life celebrities from the entertainment and sporting world then an ideal thing to do in Myrtle Beach is to plan a trip to the Hollywood Wax Museum Myrtle Beach. Located within Broadway at the Beach, the Hollywood Wax Museum Myrtle Beach is situated in a two-story building that is packed with life size replicas of famous celebrities as well as two other attractions that include Hannah’s Maze of Mirrors and the Zombie Apocalypse Haunted Outbreak. 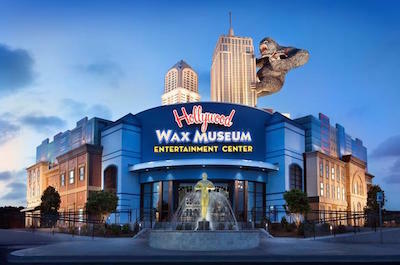 Before you enter the Hollywood Wax Museum Myrtle Museum you will be delighted to see an Oscar trophy and a 35-foot replica of King Kong gracing the top of the building. Once inside you will be thrilled to take photographs standing by celebrities like Julia Roberts, Robert DeNiro, Robert Downey Jr., Dolly Parton, Tom Hanks, John Wayne and Katy Perry. There is are replicas of some of NASCAR’s greatest drivers like Richard Petty and Dale Earnhardt as well as sports figures like Babe Ruth. Two other attractions reside within the Hollywood Wax Museum Myrtle Beach which includes the Zombie Apocalypse Haunted Outbreak and Hannah’s Mirror Maze which features over 250 mirrors within spellbinding maze. When you want to experience the most popular thing to do in Myrtle Beach then you need to make a stop at Broadway at the Beach. Located at 1325 Celebrity Circle in downtown, Broadway at the Beach is situated on 350-acres and boasts numerous attractions from shopping to dining to thrill rides to live entertainment. 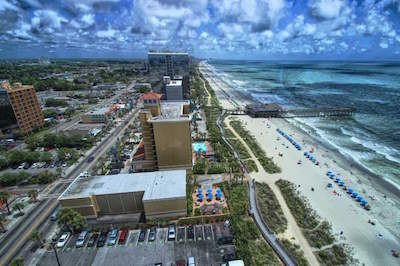 Broadway at the Beach contains over 20 thrilling attractions for you to experience that include the Ripley’s Aquarium, Backstage Mirror Maze, WonderWorks, the Hollywood Was Museum, Dragon’s Lair Fantasy Golf and Myrtle Waves Water Park. Broadway at the Beach features 74 unique shopping venues that range from Yours and Mayan to Victoria’s Secret to the Paula Deen Store to the Man Cave Store. Other shopping boutiques include House of Style, Gemini Boutique, Flamingo Joe’s and Boardwalk Winery. Broadway at the Beach has 23 eateries to choose from that range from Paula Deen Family Kitchen to Sweet Carolina’s to Senor Frog’s to the American Tap House. Entertainment is abundant with the Legends in Concert, Big D Theater and you can find live music in the evening at the Hard Rock Cafe as well as plenty of laughter at the Carolina Comedy Club. 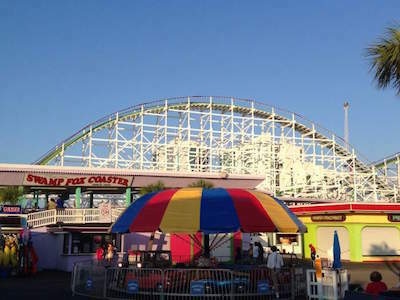 When you family is ready to have a thrilling time at one of the most popular things to do in Myrtle Beach then you should schedule some time at the Family Kingdom Amusement Park. 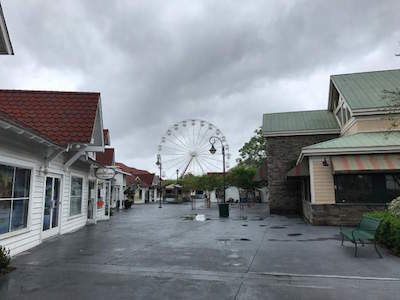 Located along the banks of the historic Withers Swash, the Family Kingdom Amusement Park is situated on 13-acres of land that features 38 rides and numerous free entertainment venues. Family Animal Kingdom Amusement Park features one of the 122 wooden roller coasters still in operation in North America. The Swamp Fox is 2,400-feet in length and forms a figure eight. Other signature rides include the twist ‘n Shout steel roller coaster, Magic Bikes, Jump Around Dune Buggies and the Log Flume. Your heart will thump with adrenaline as you free fall 110-feet on the Slingshot Drop Zone. You can race on the Go-Kart tracks and the bumper cars are also family fun. If water is your idea of fun then go across the street to the Family Kingdom’s Splashes Water Park where you will find an assortment of water slides and a lazy river. You will be delighted with the onsite entertainment that includes carnival style games, arcades, jugglers, magicians and stilt walkers as well as face painters. When you want to view the total area that surrounds Myrtle Beach then the best thing to do in Myrtle Beach is to take a thrilling ride on the Myrtle Beach SkyWheel. Located along the Myrtle Beach Boardwalk and Promenade, the Myrtle Beach SkyWheel is situated overlooking the coastline of the Atlantic Ocean and is the second tallest extant ferris wheel in North America. 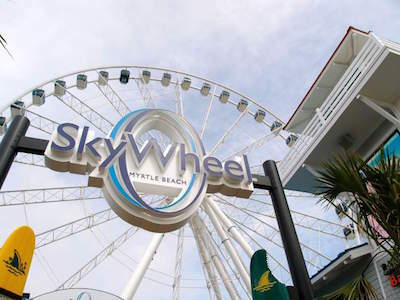 The Myrtle Beach SkyWheel is a fascinating ferris wheel that towers 187-feet into the sky. The Myrtle Beach SkyWheel has 42 glass enclosed gondolas which are temperature controlled for your comfort. Each gondola can hold up to six people making the ferris wheel a popular attraction with families and groups of friends. Once inside the gondola you will be delighted with panoramic views of the area including the beautiful white sand beaches, the expansive Atlantic Ocean and the surrounding built environment of Myrtle Beach. Also within the area of the Myrtle Beach SkyWheel is an associated restaurant called LandShark Bar and Grill where you can grab a bite to eat before or after your ride and you can browse the LandShark Surf Shack for that perfect souvenir. When you are interested in an outdoors adventure that includes everything from hiking to swimming to learning about the environment then an ideal thing to do in Myrtle Beach is to plan a visit to Myrtle Beach State Park. Located just 3-miles south of downtown, Myrtle Beach State Park is situated on 312-acres and was the first South Carolina State Park to be created in 1936. While you are visiting Myrtle Beach State Park you have several options from swimming to lounging on the 1-mile undeveloped white sand beach to bird watching to fishing. Other exciting activities are numerous miles of biking and hiking trails within the park that are great for all skill levels. Myrtle Beach State Park has a visitor’s center which is packed with numerous interactive exhibits that explain the park’s eco-system and the animals that within boundaries as well as numerous informative shows given by the park’s naturalists. You will find picnic facilities, horseshoe pits, a playground as well as a nice campground if you want to spend the night. When you are ready to do some shore fishing or just sit and watch the waves, then a great thing to do in Myrtle Beach is to go to the Springmaid Pier. 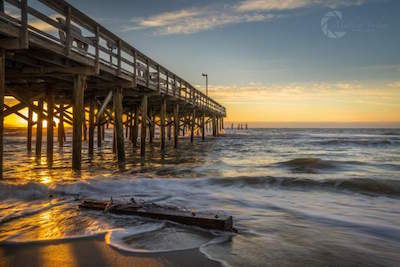 Located at 3200 South Ocean Boulevard just north of Myrtle Beach State Park, the Springmaid Pier was partially destroyed in 2016 by storm surge from hurricane Mathew. 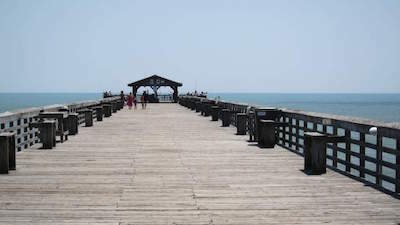 The original Springmaid Pier was constructed of wood in 1953 and was 36-feet wide with a 1,068-foot length which made Springmaid Pier the longest pier in the Myrtle Beach area. The pier is currently owned by the Hilton Doubletree which is currently constructing another pier in which people can enjoy fishing, relaxing and watching the Atlantic Ocean. When you are ready to have fun at numerous attractions, relax or play in warm waters of the Atlantic Ocean, then the best thing to do in Myrtle Beach is to visit the Grand Strand. Located along the east coastline of South Carolina, the Grand Strand is a 60-mile stretch of white sand beaches that is situated between Little River in the north to Georgetown in the south. The Grand Strand received its name from several newspaper articles dating back to 1949. The area has been developed as a prime tourist spot with over 89,000 guest rooms along this stretch this sand. The Grand Strand contains fifteen specific beach areas such as Pawley’s Island, Surfside Garden City, Cherry Grove, Atlantic and Shore Drive. The main hub of the Grand Strand is Myrtle Beach where you will find a plethora of entertaining family-friendly activities that range from amusement parks to museums to shopping to state parks. The Grand Strand boasts great water conditions for swimming, body surfing, standup paddleboarding and many other watersport activities. The Grand Strand is an ideal destination for families looking for affordable oceanfront lodging with a wide assortment of attractions that will keep everyone happy. When you want to experience what real oddity around the world is like then a superb thing to do in Myrtle Beach is to take a trip to Ripley’s Believe It or Not!. 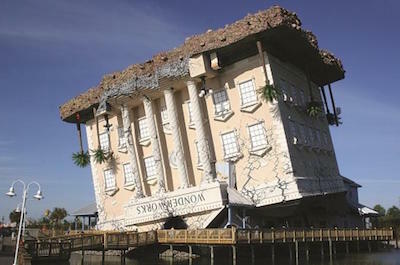 Located at 901 North Ocean Boulevard along the Myrtle Beach Boardwalk and Promenade, Ripley’s Believe It or Not! is situated within a complex of attractions that include the Odditorium, an Aquarium, Haunted House and 5D Theater. 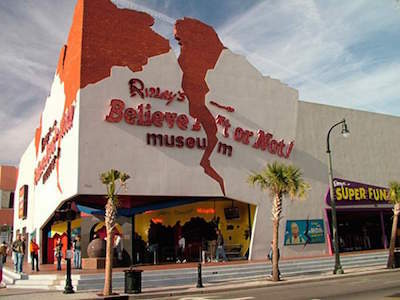 The Ripley’s Believe It or Not Odditorium is within a space of 12,250 square feet that features 12 themed galleries and more than 200 strange items from around the world such as a shrunken heads, a 6-legged pig, an authentic vampire killing kit and numerous interactive exhibits. Other exhibits at this eclectic museum are a spinning vortex tunnel, several one-of-a-kind artworks and you can view the Mexican Vampire Woman. You will enjoy standing next to ruler and measuring yourself against the world’s tallest man. Other attractions within Ripley’s include a horrifying Haunted Adventure that is sure to scare you or you can watch an amazing 5D movie in the theater. Whether you want to learn about the oddities of the world or enter a world of darkness there is something strange for everyone at the Ripley’s Believe It or Not! Odditorium. 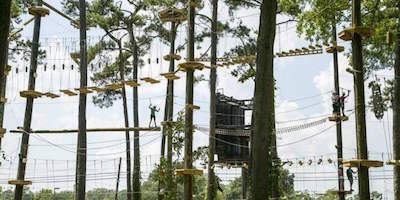 When you are ready for some extreme adrenaline rushes then the best thing to do in Myrtle Beach is to plan a trip to Radical Ropes Adventure Park. Located at 31 19th Avenue South near the Withers Heights area, Radical Ropes Adventure Park is situated within 5-acres of forested land that is ideal for ziplining adventure. Radical Ropes Adventure Park boasts four different areas of extreme fun that includes the Extreme Zipline Park which features numerous cable tension lines that take you soaring above the tree tops some 60-feet in the air. The Aerial Adventure Park boasts three different obstacle courses of various levels which tower some 55-feet above the ground and are ideal for all types of skill level. The rock Climbing Wall is perfect to hone climbing skills and once you are on top you can decide if you want to take a 70-foot free fall to ground on the Leap of Faith. The KidZips are designed for children 4 to 8 years of age and includes a great 10-foot high zipline adventure as well as a challenging aerial obstacle course for the children to enjoy. Radical Ropes Adventure Park is ideal for families looking for a great day of thrills. 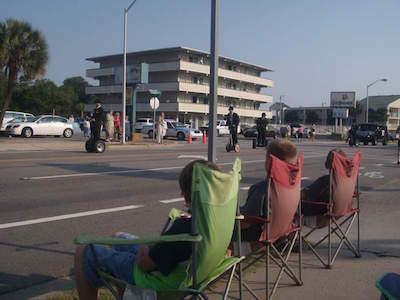 When you are interested in seeing some great sights while enjoying a comfortable day while learning how ride a Segway then the perfect thing to do in Myrtle Beach is to visit Myrtle Beach Segway. With their main offices located south of Withers Heights and close to Myrtle Beach State Park, Myrtle Beach Segway offers Segway tours, rentals as well as training. Myrtle Beach Segway is a great idea when you don’t want a whole lot of exercise but still want to cover quite a bit sightseeing in a short period of time. Myrtle Beach Segway boasts rentals for self-guide tours which include a map, safety equipment and training before you hit the road. There are several organized excursions offered that are featured throughout the day at various locations throughout Myrtle Beach and the surrounding area. Some of these excursions include a glide through Huntington Beach State Park and North Myrtle Beach. Both excursions are small groups and you will enjoy the informative narrative given by your expert guide. Once you learn the basics of riding a Segway you will be amazed at how easy the vehicle is to navigate around the roads. When you are interested in viewing wildlife in a picture perfect setting that is family-friendly then an ideal thing to do in Myrtle Beach is to plan a visit to the Waccatee Zoo. 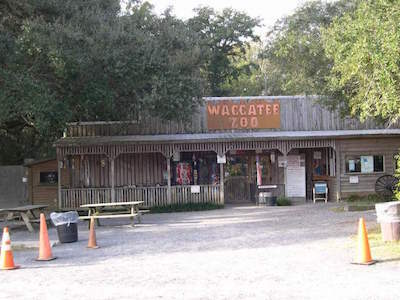 Located where the Waccamaw River, the Intracoastal Waterway and Socastee Creek merge just 15-minutes outside of Myrtle Beach, the Waccatee Zoo is situated on 500-acres of privately owned land that is adjacent to the larger Waccawam National Wildlife Refuge. The Waccatee Zoo features a tremendous amount of wildlife with over a thousand animals from more than 100 different species. You will be pleased walking on the winding trails under tall shade trees while you view species such as zebras, tigers, leopards, herds of buffalo and cougars as well as a television watching chimpanzee. Hundreds of migratory birds come to the area and it is not uncommon to watch hundreds of herons and egrets in one spot. Children are pleased with the numerous brightly colored peacocks that roam the area freely and there are plenty places to stop in order to soak up the pristine forest environment. Other facilities onsite include a souvenir shop and a snack bar to help fight off your hunger. When you want to mix some music with history for a guaranteed good time, then the only thing to do in Myrtle Beach is to plan a night at the Bowery. 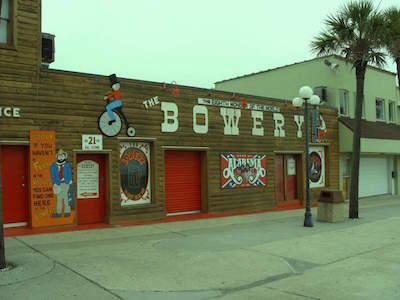 Located at 110 9th Avenue North just a half block from the beach, the Bowery first opened its door in 1944 and has hosted quality live music combined with food and drink to make for a special entertaining evening. Once you enter the Bowery you will be amazed with the memorabilia that covers the walls from concert posters to beer advertisements to gas pumps and there are even some platinum records on display. Big name acts have graced the stage at the Bowery with the Super Group Alabama building its foundation of fans and honing their musical talents while playing as the house band. The Bowery offers a variety of food and drink with talented servers who once held the Guinness Book of World Records for carrying 34 mugs of beer without a tray. Whether you are young or old you are sure to find something interesting on the walls as well as listening to some of the finest music in the South. When you want to view the vast landscape that surrounds Myrtle Beach in an interesting and thrilling way, then the ideal thing to do in Myrtle Beach is to take a trip with Helicopter Adventures. Located at 1860 21st Avenue just a short distance from Broadway on the Beach, Helicopter Adventures offers a unique way to combine sightseeing and a little bit of adrenaline in a family-friendly fashion that is safe as well as comfortable. 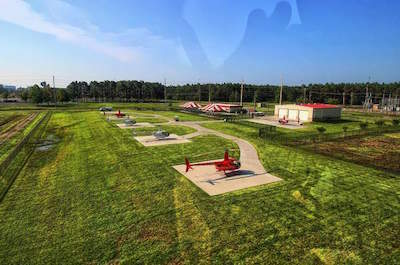 Helicopter Adventures is the perfect way to view the area with stunning bird’s eye views of the Atlantic Ocean, the Grand Strand, the built environment of Myrtle Beach and the lush landscape that exists in the area. You will ride in one of twelve comfortable Robinson R44 helicopters while you soar through the sky. You have many different tour options that range from 2-miles of flying over Broadway at the Beach and around Myrtle Waves Water Park to 42-miles of flying which can stretch all the way to Briarcliffe Acres or Cherry Grove Beach and beyond. With five active flight pads for take-off and landing you will be pleased with the easy access and affordability of Helicopter Adventures. 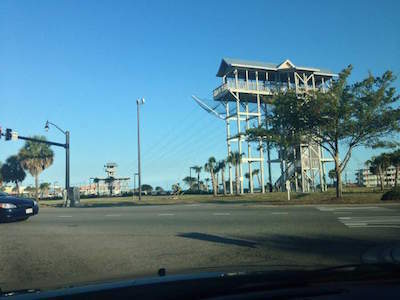 When you are looking for a fun time that is filled with adrenaline then one of the best things to do in Myrtle Beach is to plan a visit to Myrtle Beach Ziplines. Located at 321 9th Avenue within the Myrtle Beach area, the Myrtle Beach Ziplines is packed with adrenaline filled ziplines that will leave lasting memories. Once at the Myrtle Beach Ziplines you will travel at speeds up to 40 miles per hour as you race across a tension cable that is some 600-feet in length. You will be afforded great views of downtown Myrtle Beach as well as stunning views of the Atlantic Ocean and white sand beach areas. At Myrtle Beach Ziplines you can enjoy a newly constructed zipline course called the Hex which is sure to raise your adrenaline to new levels. An added bonus is a 60-feet freefall feature which will have you thinking that will give you the thrills of incredible G force as you travel to the ground. When you want to have a frightening time that is packed with fun and adventure then the perfect thing to do in Myrtle Beach is to visit the Nightmare Haunted House. Located at 1001 North Ocean Boulevard in the Myrtle Beach area, the Nightmare Haunted House is situated within 4,000 square feet of unsuspecting terror that looms around every corner. The Nightmare Haunted House has been in operation for over 20 years and continually changes the horrifying format of the haunted house to bring the most terror filled episodes into your mind. You be enthralled with the perfect horror setting and props that make the zombies come to life on a daily basis. The choreographed efforts by the actors is ideal for a totally nightmarish fun time that includes you walking through the haunted house waiting for the next zombie to come chase you and your family. You will never know what to expect next as you pass through the frightening chambers of the haunted house. You will laugh, scream and maybe even cry with the horror that resides within this evil place. When your family wants to watch incredible exotic animals then the best thing to do in Myrtle Beach is to plan a trip to the Myrtle Beach Safari. Located along Highway 17 between Briarcliffe Acres and the Atlantic Beach area, the Myrtle Beach Safari is situated within a 50-acre private preserve which is 15-miles south of North Myrtle Beach. Myrtle Beach Safari is a fascinating place for families to interact with exotic animals such as a tiger, a cheetah, an African elephant, African fish eagle, a rare liger, a Bengal tiger cub, chimpanzees, lynx, wolf cubs and gibbons monkeys. Overall Myrtle Beach Safari has 60 big cats that roam the grounds in which visitors can expect unique interactive experiences such as swimming with a Bengal tiger as well as petting a small lion cub or a wolf pup. While you are at the Myrtle Beach Safari you can interact with these exotic animals in a safe and friendly atmosphere that encourages the learning of wildlife conservation around the world. This is truly an once-in-a-lifetime chance to have an excellent day with rescued and rehabilitated exotic animals from around the world. When you are looking for a place that offers several different family-friendly attractions which are perfect for all ages, then a superb thing to do in Myrtle Beach is to go to Broadway Grand Prix. Located at 1820 21st Avenue North near Broadway at the Beach, Broadway Grand Prix is situated on a vast complex that includes several attractions from go-kart racing to miniature golf to rock climbing to a Sky Coaster. Broadway Grand Prix offers seven different go-kart tracks that are perfect for all skill levels of driving from novice to expert. The Broadway Grand Prix has two fantastic miniature golf courses that will challenge the whole family. Other exciting options include a family-friendly arcade and the bumper cars will surely put smiles on the whole family. Added bonuses at Broadway Grand Prix include three separate rock climbing walls which are ideal for all skill levels and when you want to have a huge adrenaline rush you need to try the Sky Coaster. In addition there is a kid’s zone which features seven exciting rides for the kids which range from a carousel to a miniature Ferris wheel to a train ride. When you are ready to put your pirate face on and swab the decks then a perfect thing to do in Myrtle Beach for the whole family is to take Blackbeard’s Pirate Cruise. Located in the Barefoot Landing Marina along the Intracoastal Waterway, Blackbeard’s Pirate Cruise is ideal fun for everyone who dreams of living a pirate’s life. Blackbeard’s Pirate Cruise is a great interactive adventure that lasts one hour and will be smiles to everyone’s faces. Once on board the Renegade you will begin your quest for Blackbeard’s treasure sailing along the Intracoastal Waterway until you must fight of other pirates with the 16 high powered water cannons that are situated on the deck. After you capture the treasure the fun really begins with face painting, pirate tattoos and everyone receives a free pirate hat. When you open the treasure chest there will be plenty of games, singing and dancing as you stare down at the loot in chest. When the booty of the treasure is distributed everyone will go home with a little extra something from a wonderful adventure on the Blackbeard’s Pirate Cruise. When you are searching for an interactive learning experience for your children, then the best thing to do in Myrtle Beach is to take your kids to the Children’s Museum of South Carolina. Located at 2204 North Oak Street just north of downtown, the Children’s Museum of South Carolina is situated within a 10,000 square feet facility which boasts plenty of interactive exhibits for learning that will surely be fun for your kids. The Children’s Museum of South Carolina has eighteen specific interactive exhibits that are perfect to expand your child’s mind through a fun learning experience. These interactive exhibits range from the Big Bank to Under Construction House to Water Works to Flora’s Farmers Market. Other exciting exhibits include a Dino Dig, Kidz Medical Center, Discover South Carolina, Famous Fraction Pizza Delivery Truck, Express Yourself Art Center and Habitat Habit where children can even touch a box turtle. One of the more interesting exhibits is the Hurricane Simulator where children will learn how to protect themselves during Category 1 hurricane. Each exhibit focuses on a specific task, job or life training skill which will be valuable to your children as they grow older. If you are interested in seeing some of the most fascinating automobiles ever made in the United States, then the only thing to do in Myrtle Beach is to go to the Wheels of Yesteryear. Located at 413 Hospitality near the Pine Island area just east of Broadway at the Beach, Wheels of Yesteryear showcases muscle cars that have been collected over the years by Paul and Carol Cummings. The Wheels of Yesteryear is a fascinating museum that has more than 100 cars and trucks which have been made America over the years and currently has 50 of these muscle cars in the museum. Some of the cars you will view are one-of-a-kind or one of few survivors of its kind such as the 1971 Plymouth “Hemi” Barracuda Convertible or the 1960 Buick Wildcat Convertible and a 1955 Dodge Stepside Pickup Truck as well as the 1969 Mercury Cyclone CJ where only 218 were ever made. Besides the muscle cars you will be pleased with the hundreds of pieces of memorabilia that drape the walls from oil and gas to checkered flags to original automobile drawings from the factory to advertisements. This museum is truly a one-of-a-kind experience for automobile enthusiasts. When you want your children to have a fun pirate filled day that is sure to bring a smile to their face, then a superb thing to do in Myrtle Beach is to try the Pirate Adventures Myrtle Beach. Located near the Murrels Inlet south of Myrtle Beach, Pirate Adventures Myrtle Beach is situated at the docks along Marshwalk next to Dead Dog Saloon. Once you board the Sea Gypsy your children will be transported back to a time when pirates ruled the open sea. During their voyage they will raise the Jolly Rogers flag, swab the decks and enjoy a unique experience looking for treasure while fighting off other pirates with high powered water cannons. Once they have secured the loot and the treasure chest the fun really begins. Your children will be thrilled to limbo, have their face painted as well as receive a removable pirate tattoo and singing pirate songs. Once back onshore they will have a lifetime of pirate memories after sailing the open seas with new pirate mates. When you want to view one of the largest collections in the world of Southern artwork, then the perfect thing to do in Myrtle Beach is to take a trip to the Franklin G. Burroughs-Simeon B. Chapin Art Museum. Located at 3100 South Ocean Boulevard just north of Myrtle Beach State Park, the Franklin G. Burroughs-Simeon B. Chapin Art Museum is situated in a 1924 beach villa and contains eleven specific exhibit galleries. Within the Franklin G. Burroughs-Simeon B. Chapin Art Museum you will be delighted to see artwork from outstanding artisans such as the Bishop Collection of Antique Maps and Historical Prints, the Waccamaw Arts and Crafts Guild Collection and the Barbara Burgess and John Dinkelspiel Collection of Southern Art. Exhibits in the past have have included Steve Jameson: Ode to the Grand Strand, Rice and Indigo: Paintings by Jonathan Green and Works in Denim by Jim Arendt, Frank Lloyd Wright: Architecture of the Interior, Laurie Blum: My Inner Garden and Voices of the Island: The Cuban Art Collection of Reynier Llanes. The Franklin G. Burroughs-Simeon B. Chapin Art Museum also hosts a number of lectures and art classes for aspiring artisans. When you are interested in finding plenty of attractions within a short distance of each other, then the best thing to do in Myrtle Beach is to visit the Myrtle Beach Boardwalk and Promenade. Located between 1st North Avenue and 16th North Avenue just steps from the Atlantic Ocean, the Myrtle Beach Boardwalk and Promenade hosts a variety of activities from shopping to dining to several major attractions. The Myrtle Beach Boardwalk and Promenade is home to thirteen unique Myrtle Beach attractions such as the Nightmare Haunted House, Pier 14, the Myrtle Beach SkyWheel, the Sling Shot Thrill Ride, several arcade centers and the many attractions located at Ripley’s Believe It or Not! Shopping is superb with venues such as the Gay Dolphin Gift Cove, I Love Sugar and the LandShark Surf Shack. There are eighteen dining options along the Myrtle Beach Boardwalk and Promenade which include famous places like the Bowery, Mammy’s Cafe, Moe Moon’s, the Pier House Restaurant at 2nd Avenue North and LandShark Bar and Grill. There is also live music at several restaurants highlighted by the Bowery, the Beach House Bar and Grill as well as Hurricanes Daiquiri Bar and Grill.